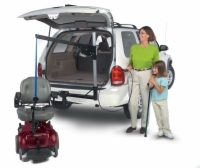 For maximum protection for your power wheelchair while on the go, consider installing an internal vehicle lift. 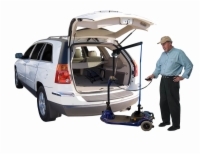 These handy devices will lift your wheelchair off the ground and transfer it into your vehicle's trunk or rear storage. 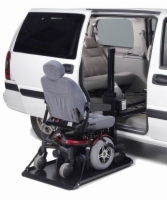 To find the vehicle lift that is compatible with both your power wheelchair and your automobile, contact our mobility experts at 1 (800) 910-0935. 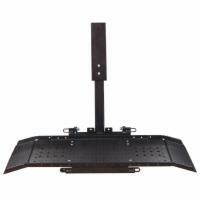 Harmar broke the price barrier with this lift yet still upholds its commitment to quality. A true best buy. 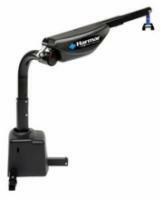 By retaining the functionality of the Mini Universal Lift on a lift that attaches to the outside of your vehicle, Harmar has created a best-of-both-worlds lift. The Axis I Value Inside Lift adds an offset post that makes loading scooters and power chairs much easier - less scratches and dents all around! 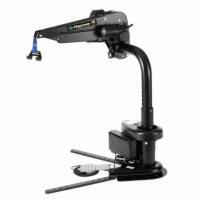 The Axis II Lite Inside Vehicle Lift is specifically designed to be powerful, lightweight, and economical. Enjoy greater mobility for less! 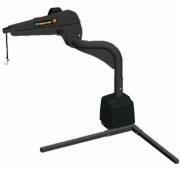 This extending vehicle lift offers a higher weight capacity and a different design for different applications. 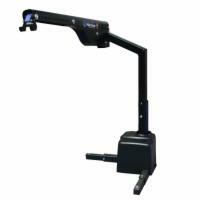 The new standard when it comes to lifts, the Axis III can fit any vehicle and features strength and easy to operate controls. Let it do all the heavy lifting for you! 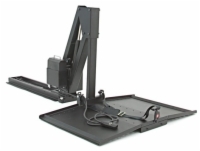 This lift operates much like other extending lifts with one important exception - it's made to be installed on the side door of your vehicle. This is perfect if you want to get out of the driver's seat and into your scooter or power wheelchair. 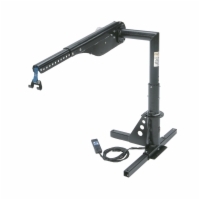 The Axis III Tailgater Truck Lift is a versatile and affordable model that is easy to operate and offers an impressive 400 lb. weight capacity! 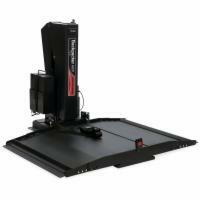 This internal vehicle lift can be installed in any minivan or full-size van. 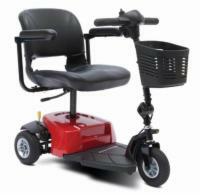 The remote control operation makes it simple and convenient to transport your mobility device!